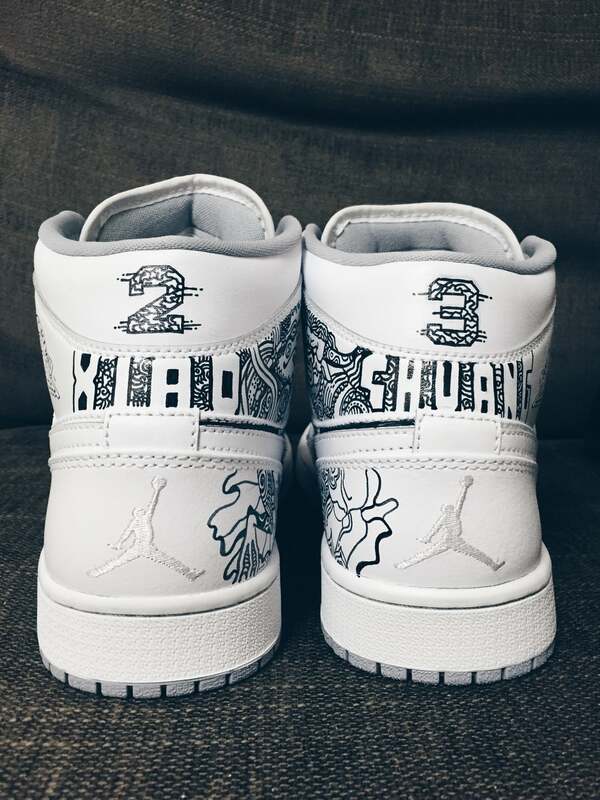 A pair of custom Air Jordan 1s for a friend's wedding. At her request, motifs like Jordan, the Zodiac, a frog, WarCraft, an ox, were incorporated into the design. It's the first time that I draw on leather. I find it being a surprisingly forgiving medium to work with.